Keyword Fraud – buying keywords that have nothing to do with your site. Forced & Blind Continuity – signing up for an offer opts you in to another undisclosed program. ID Theft – obviously a big problem in both the Internet and off. Plagiarism – the day after creating a new site, a clone appears on the Internet, stealing all your content. Farticles & Flogs – A site that appears to be a blog, which is often keyed into your IP address (or location) to appear to be local to you. Unrealistic Promises – make $100,000 in the next six weeks. Upsell Hell – after buying and before getting to your “product” you get countless upsell offers. Instant Income Claims – just push this button and create your first $1 million instantly. Content Farms – content instantly created on thousands of websites. What is the experience of this website? The website’s theme now weighs heavily. Is the content interesting and fun to read? Google looks at your site’s “bounce” rate. Grandma wants to trust information on the site. If she enters her credit card on a site, she wants to know she’s going to get what she paid for and it’s going to do what it says. 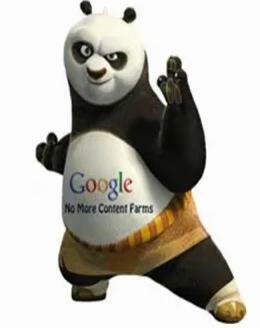 Although some think Google’s Panda update has deprecated content farms, there are two notable exceptions to this thesis. First, Google ‘loves” the Drudge Report, which is merely a content farm. Today Matt Drudge’s site rakes in $300 million per year and has an Alexa rank of 407. In addition, Ariana Huffington‘s website, the Huffington Post, has an Alexa rank of 88 and was recently sold to AOL for $300 million. The concept leading to the unbelievable success of these websites is curation. Curators work in museums, selecting items that people most want to see. This concept online involves picking the most profitable niches and curating content. Mashable.com is another prime example of a curated content site as is OntheSnow.com, which curates content for skiiers. Bankaholic.com, which tracks the rates banks are paying and charging was built by a teenager and recently sold for $15 million. Harlan curates content to his own blog, MeditationTechniques.co. On a recent James Jones weekly webinar, he demonstrated taking the #1, #2, and #3 spots in Google in under 5 minutes and overtaking WebMD.com for the term “meditation techniques to overcome anxiety.” He teaches others his technique through group and individual coaching. Although James Jones is considered to be a highly trusted, ethical source, we advise due diligence before any product purchase. Understanding the mindset and trends, you will gain interest of readers that converts to relevant inquiries.